A reminder to parents/guardians about the annual free physical event that will be held Tuesday (tomorrow) afternoon/evening at AHS. Please share this reminder post to help spread the word. See the information below with more details. 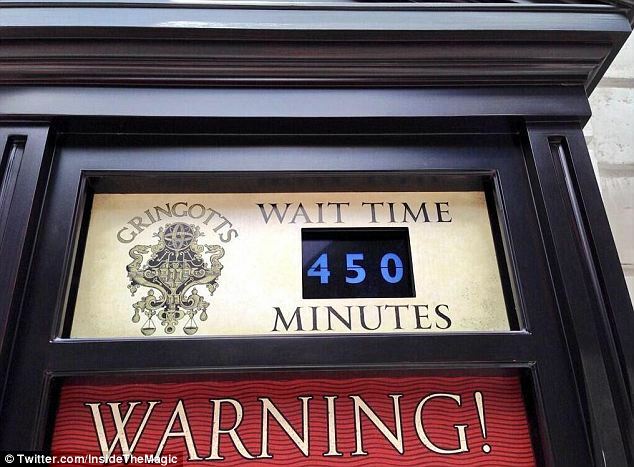 The wait time won't be as long as the wait time for this Harry Potter ride at a theme park in the UK, but parents should be prepared to wait possibly an hour and a half depending on how long the line is. To help this, please come at the times that are listed on the letter that is linked below. There will still be a wait, but helping out with the times could help us out. A link to the information letter for parents and the questionnaire that will need to be filled out in advance by parents is here. - APSD nurses will be on hand to also check shot records, so to avoid any last-minute notifications when school starts in the fall that your student isn't up to date with shots, you can have your child bring shot records to be checked as well. - While all students who participate in athletics/spirit groups at Goza or AHS MUST have a physical, the physical DOES NOT have to be from this night. Any annual physical from your primary care physician will work as long as they are cleared for participation and your student brings a copy to his/her coach. - When filling out the form, pay attention to some of the instructions on the new form that we are using for APSD physicals. If the "yes" box is checked on some questions, you are instructed to stop filling it out and go see your primary care physician to get cleared. Physicians will not clear students at this free physical event who have certain pre-existing conditions. - Unless a student is 18, there MUST be a parent signature on the form in order for the physicians to complete the physical Tuesday night. If a student brings a form without a parent signature,they'll be required to get a signature before the physical can be completed.